Below is a small example of the compatible cartridges Cartridge Care Manchester supply for the leading printer models on the market. Our all encompassing range of refilled, re manufactured, compatible and original printer cartridges will ensure we meet all your printing requirements. 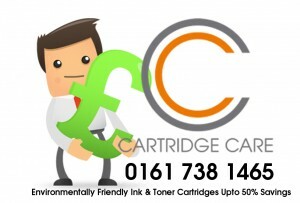 Brother Toners, HP Toners, Canon Toners, Dell Toners, Lexmark Toners, Oki Toners, Samsung Toners – Free Delivery In Salford, Manchester, Bury. This entry was tagged Brother HL-2035 toner, Brother HL-2140 toner, Canon FC100 toner, Canon GP160F toner, Dell 1250c toner, Dell 1320c toner, HP 2600n toner, HP CP1515n toner, HP CP2025 toner, HP LaserJet 1300 toner, HP LaserJet 3050 toner, HP P2055DN toner, HP Pro P1102 toner, ink cartridge refill shop manchester, Lexmark C540n toner Cartridges Manchester, Lexmark C543DN toner, Lexmark X544 toner, Oki B2200 toner, Oki B410d toner, Oki C5600 toner, Oki C711 toner, Oki C810 toner, Oki C830 toner, printer cartridge refill shop manchester, Samsung CLP-300 toner, Samsung CLP-315 toner, Samsung CLP-320 toner, Samsung CLP-365W toner, Samsung ML-1640 toner, Samsung ML-1660 toner, Samsung ML-1665 toner, Samsung ML-2240 toner, toner cartridge refill shop manchester. Bookmark the permalink.